Different types of diets exist and can have their series of benefits. 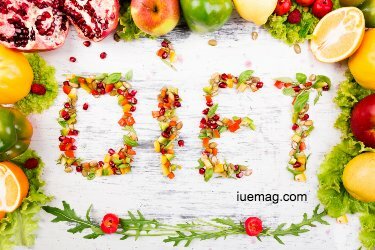 Here's what 2019 can hold for you if you are in for some diet experiments, this is the piece to read and share. Read ON! Every now and then people fuss about our their body image. Best to just admit it. Some fuss loudly while others lock themselves up, but we all have the keen eye for imperfections in the mirror. And most of us will go to great lengths to alter our shape. A lot of it boils down to how we feed ourselves. Diet influences our survival and little dietary adjustments may improve your overall health and longevity. But there are so many diets on the menu it is hard to know which one works best. Ultimately, it all boils down to the one you enjoy the most. The one that makes you feel good both physically and mentally. You should always follow your gut and just keep it moderate (unless you professionally play sports, of course). However, if you were to pick one, here is a list of some of the favorite diets and what do they entail. Also, remember to do thorough research in case you desire to commit to one. Although this diet has been used to treat epilepsy, the fitness world also embraced it. What it does is burn fat as fuel, rather than carbohydrates. That is why fat intake is upped while carb intake is reduced. Starting up the ketogenic process takes weeks and requires an effort for the body to adapt at the beginning. Once adapted, people report having much more energy and improved metabolic rate. There are keto drink mixes that contain ketones and supply the body with vital minerals found in foods. More details about ketogenic diet here! This nutritional approach puts focus on controlling insulin levels by reducing carbohydrate intake. Insulin levels fluctuate rapidly with high amounts of carb intake. Atkins diet triggers the body to store energy from the consumed food so that the body doesn’t have to use fat as a source of energy. This allows practitioners to eat protein and fat as much as they like. More details about Atkins diet here! This one is all about finding the right balance. The ratio is 40% carbs, 30% fats, and 30% protein in each meal. The result of this precise yet versatile combination is controlled levels of insulin, which can successfully lead to weight control. The Zone diet encourages practitioners to eat high-quality carbs and fats, such as nuts, olive oil, and avocado. More details about zone diet here! Fruits, vegetables, dairy products, eggs, fish, honey - all these ingredients can be combined or omitted but they altogether fall into the vegetarian diet category. The aim, of course, is not to eat meat. And the long term result is lower body weight, improved immune system, and longer life expectancy. Biologically we are designed to be herbivores, even though humans have long since joined the omnivore club. Vegetarians like to adhere to that innate dietary nature, which has shown tremendous results in health improvement. More details about vegetarian diet here! Veganism has a philosophy behind it but when it strictly comes to ingredients on the table, anything animal-based is off. That means no eggs, honey, and dairy either. This type of diet is more of a lifestyle because of ethical, environmental, and compassionate reasons. The aim is for animals to suffer less, balanced food production, and practicing self-aware health. More details about vegan diet here! When Southern Europe picks the fruits from its seas and shores, it creates one invigorating diet. Based on plant foods, seafood, poultry, dairy, fresh fruits, nuts, seeds, whole grains, and olive oil - the Mediterranean cuisine never ceases to disappoint. It is famous for its hearty flavors and wine. Research has confirmed that the Mediterranean diet improves the quality of life and reduces risks of diseases. More details about Mediterranean diet here!